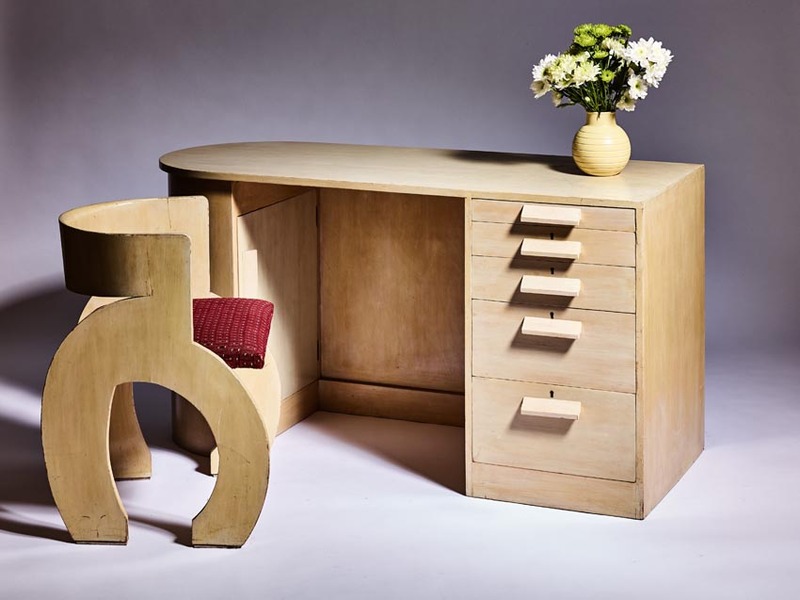 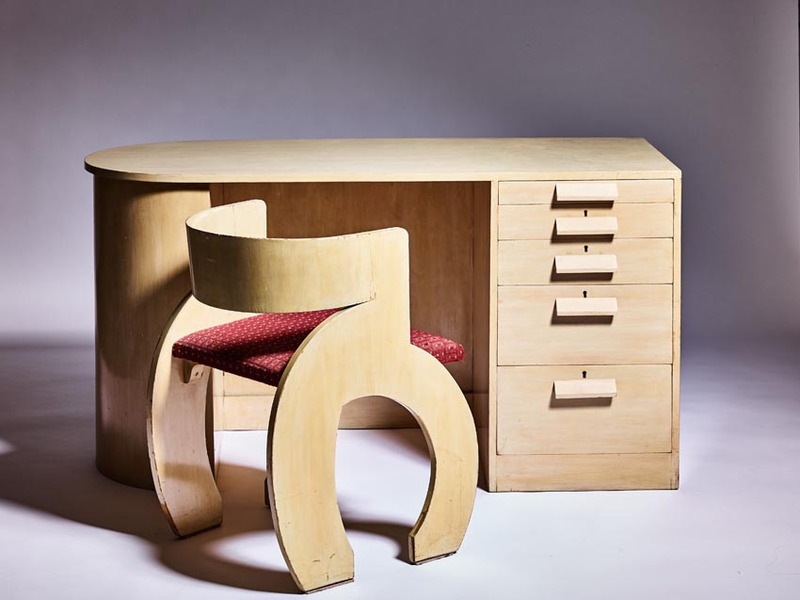 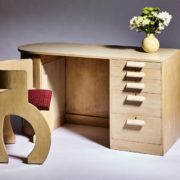 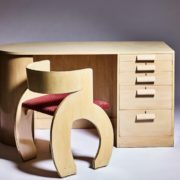 A superb example of a Gerald Summers D-end Desk and matching CB chair constructed with Birch plywood and finished with opaque white/cream shellac. Just one of Summers’ seminal pre-war designs which set the standard for English bent ply modernism. 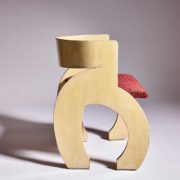 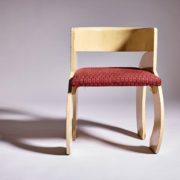 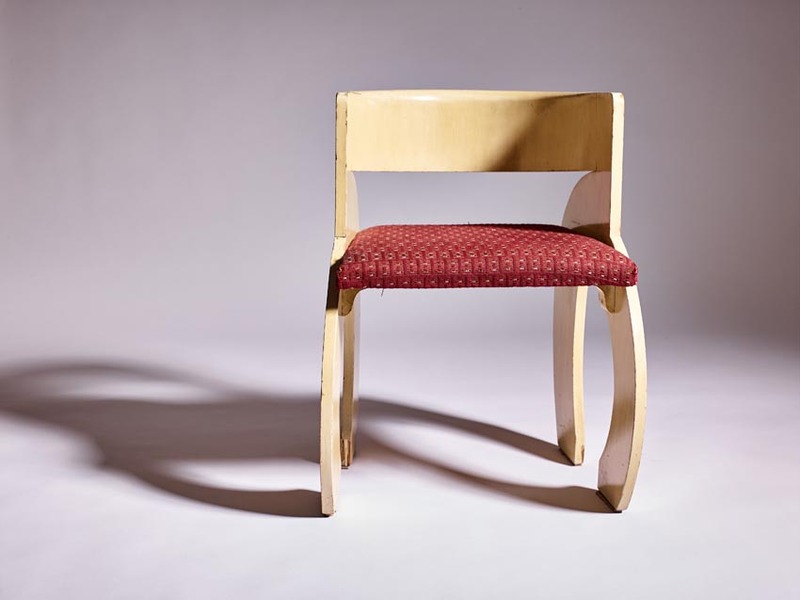 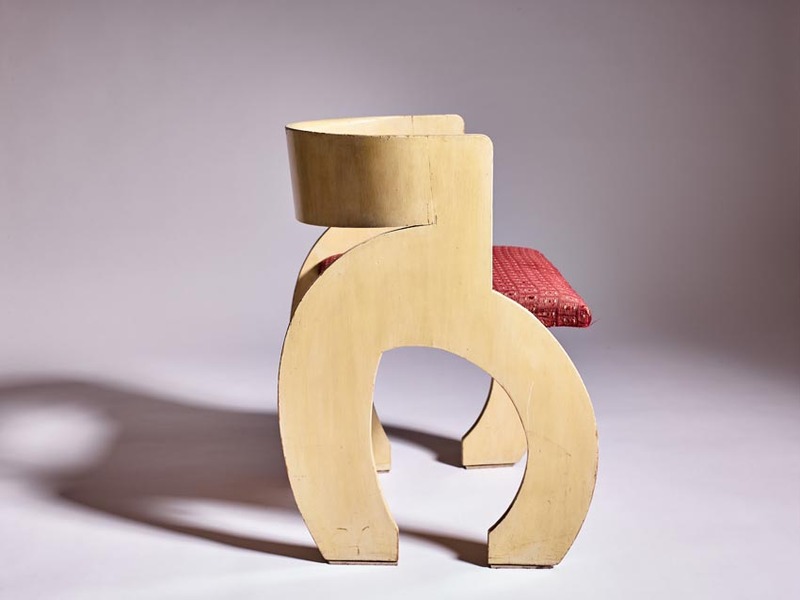 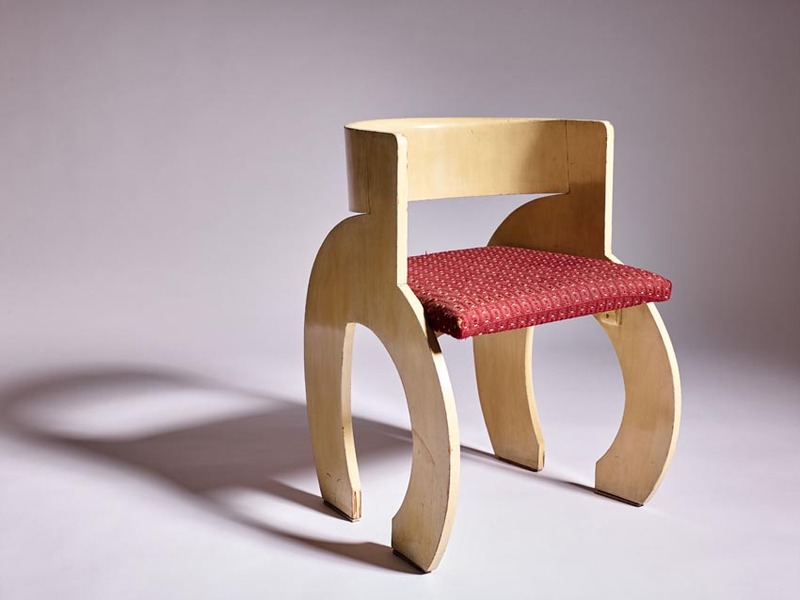 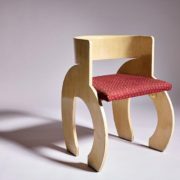 A truly rare piece with the matching ‘Curved Backed’ chair which slides neatly into knee hole. 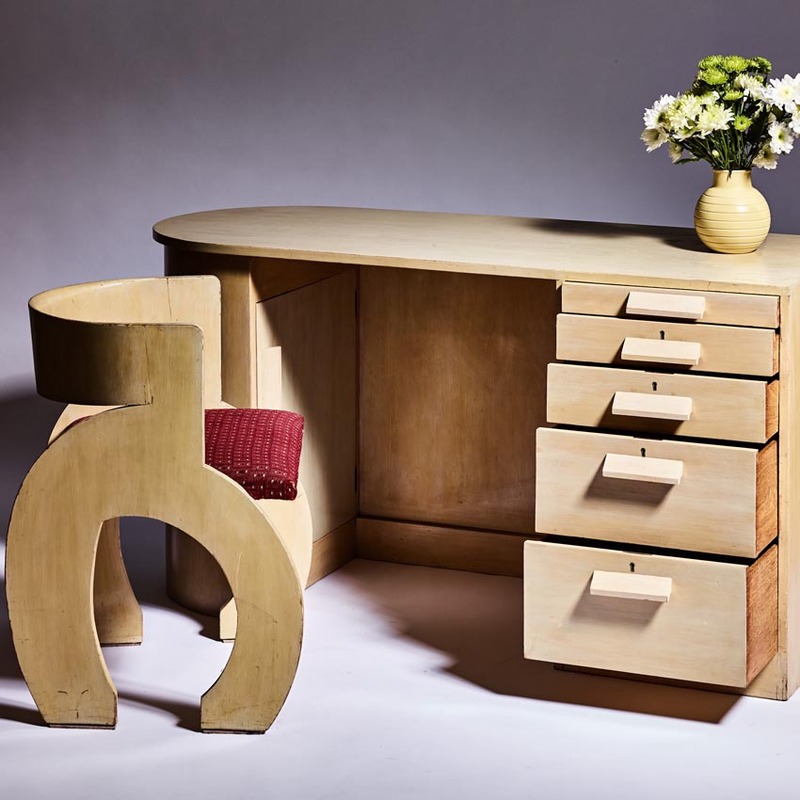 Heal’s ivorine disk to top drawer.